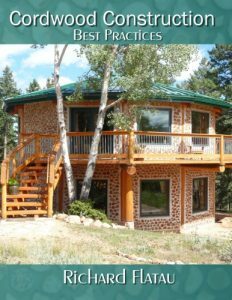 Can you combine Cordwood with Timber Framing? Ya sure you betcha! 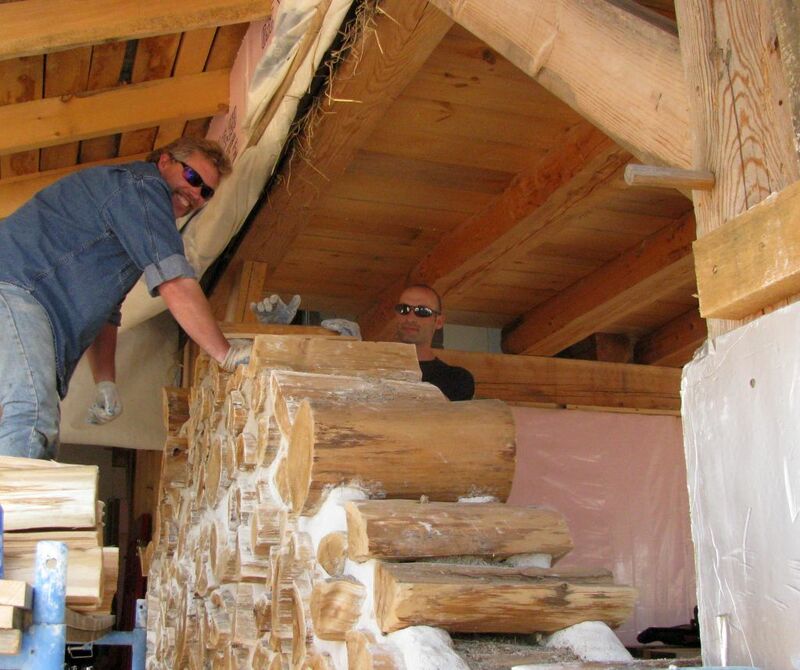 Here are photos of the infilling of a traditional timber frame home with 16″ cedar cordwood and lime putty mortar with a 10″ sawdust insulation cavity (R-value of 24). . 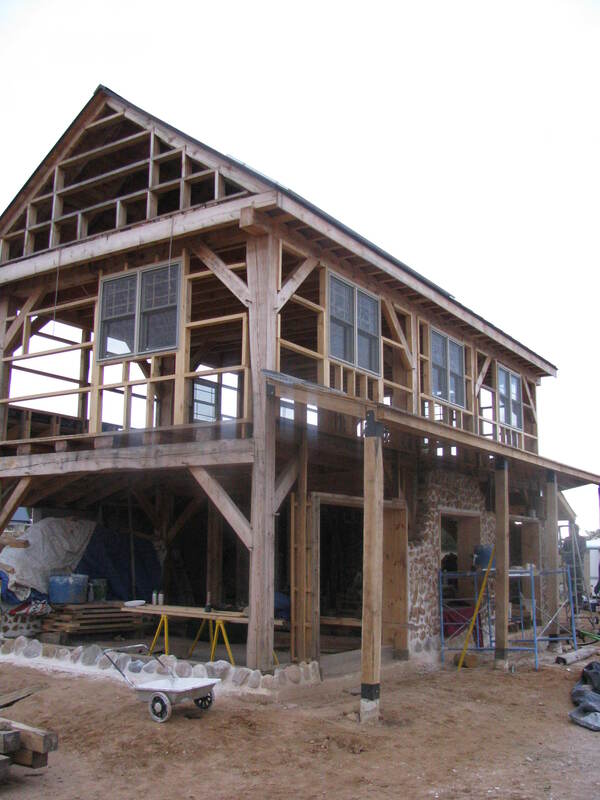 This style of timber framing is called Hall & Parlor and was one of the first timber frame styles used in America. 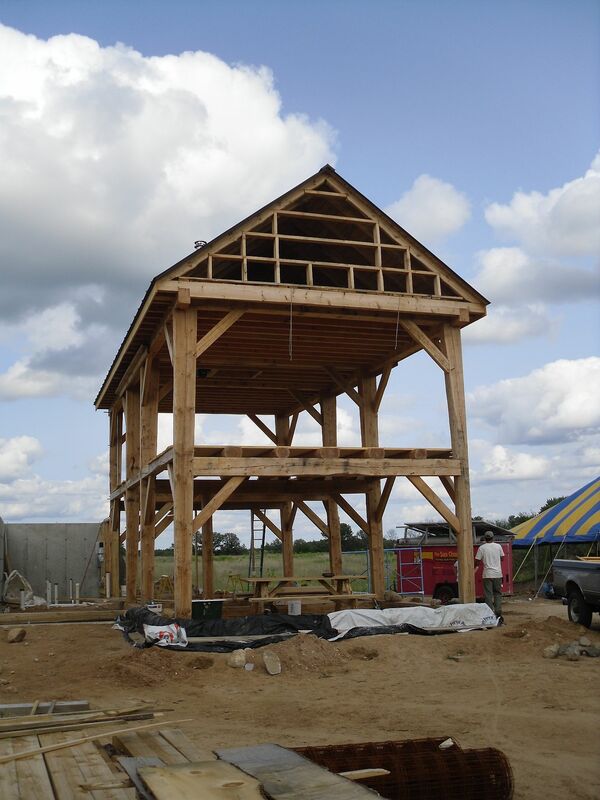 The posts and beams are mostly Tamarack with some pine for bents. Tamarack develops small cracks and not big checks like other species. 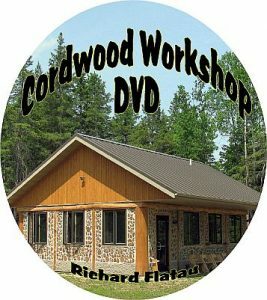 The cordwood infill is Northern White Cedar, the gold standard for cordwood construction. 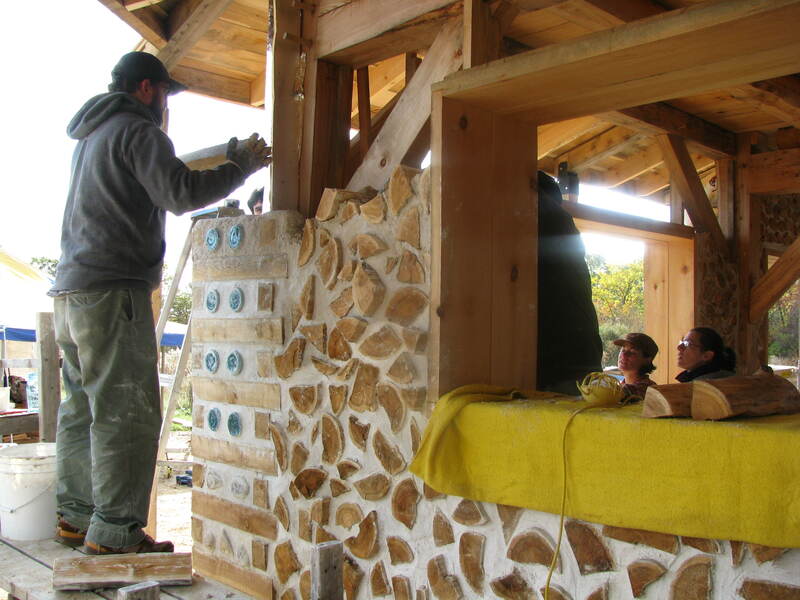 Vinnie is loving his cordwood work. He looks like he came off the set of Hew Haw! Anne takes a break after a hard days work. 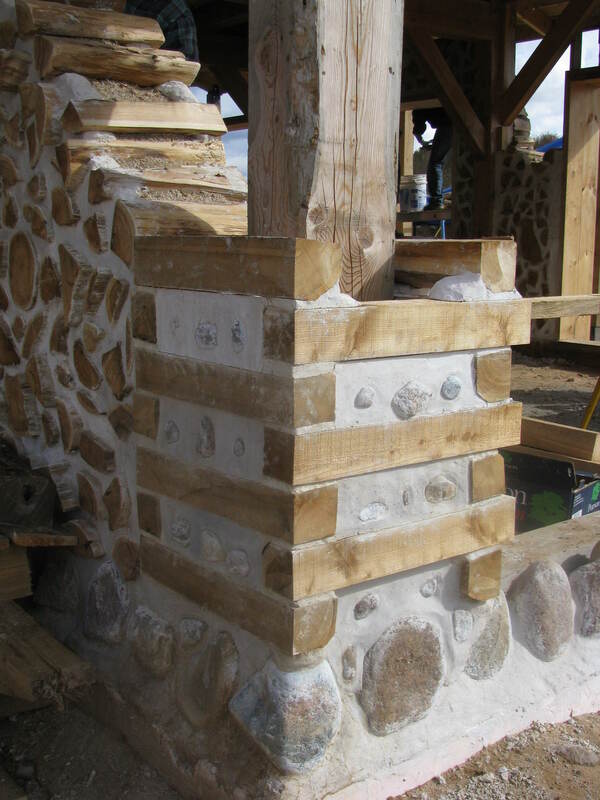 A close up of the tamarack post and the stackwall corner with glaciated stones set in the foundation wall. The second storey is framed and the windows installed. 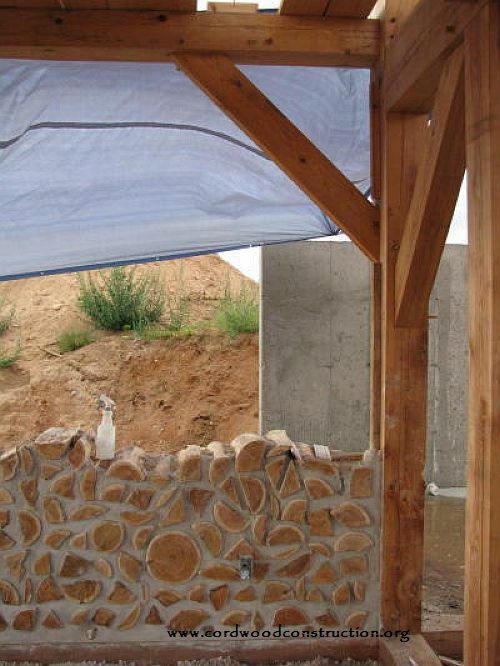 Lime putty mortar is simply rehydrated Type S lime and sand. It has a much whiter color than other mortars. 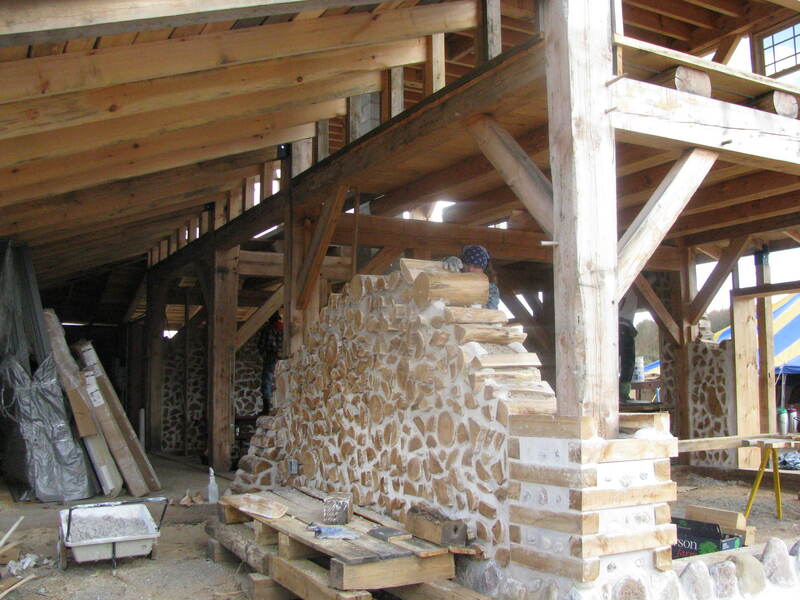 Cordwood can be stacked and mortared until the weather goes below freezing. Timber framing mallet in hand Nick lets out a whoop, Anne smiles and Oliver strikes a Greco Roman wrestling pose. 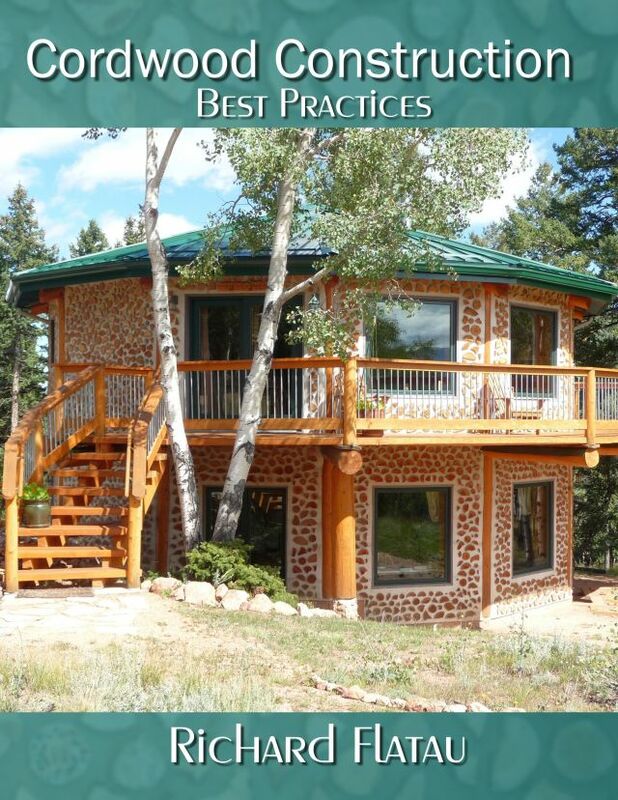 Random patterning looks the best with many different sizes of logs. 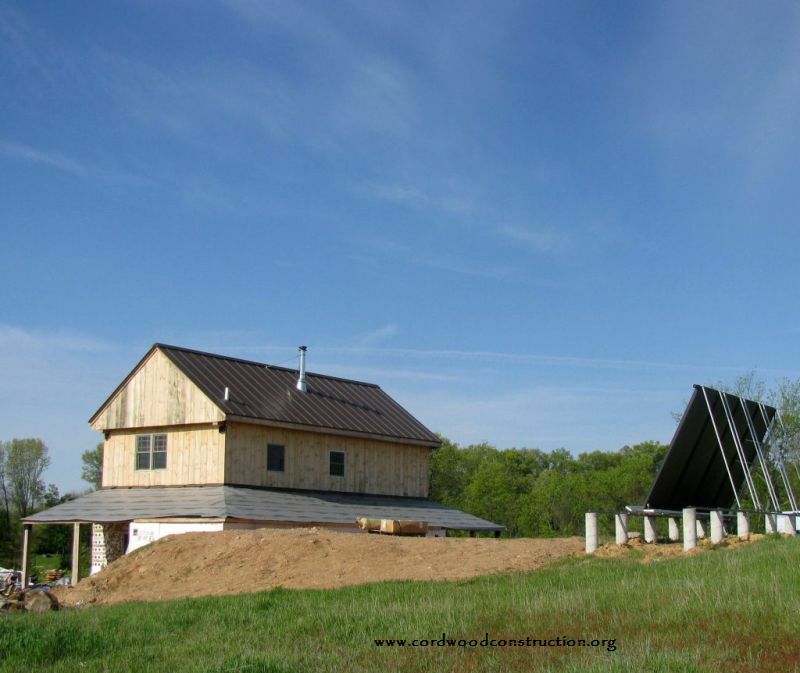 The home is banked into a hill and the solar installation provides heat for the floor, the hot water and electricity. 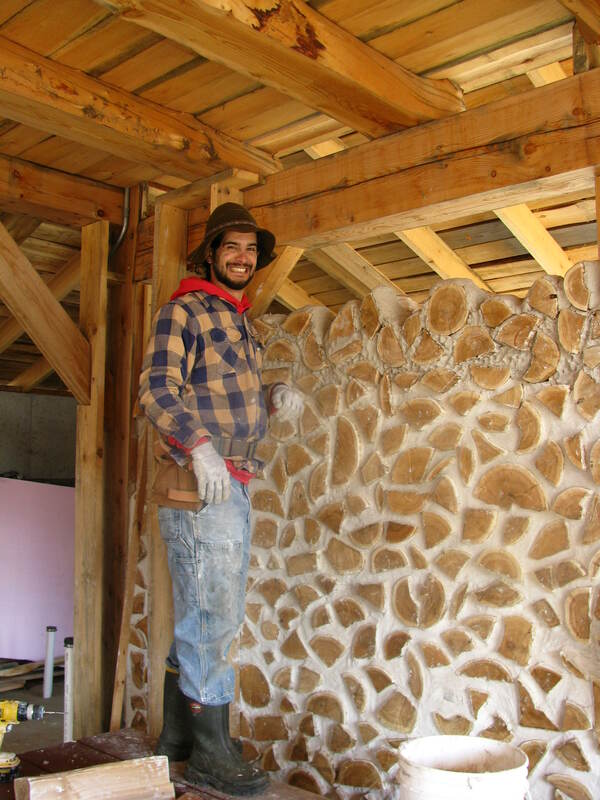 The walls were completed at workshops and work parties. 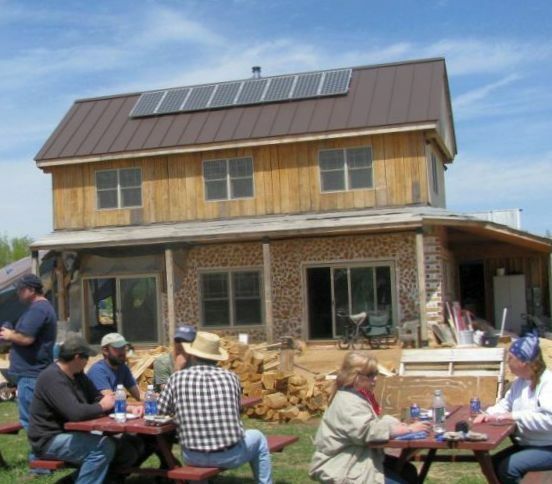 The PV panels on the roof provide most of the families needs. This installation also has grid intertie.